The largest chapter in the Walter Brend #1 Design Series - The Combat Fixed Blade is here! 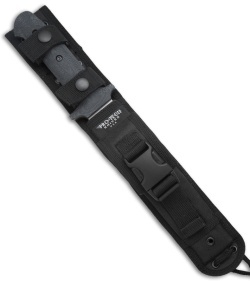 Made with a durable full tang type of construction out of .225" thick 154-CM Stainless Steel. This knife is a TANK of a cutting tool! According to Walter Brend the design of this blade is the "perfect blend of a dagger and a clip point". When you hold the Brend #1 Combat in your hand - you will understand. The handles on the Brend Combat are 3D CNC machined and then individually hand contoured and finished for a functional custom knife type grip. Each Brend #1 Combat comes complete with an American Made SPEC OPS Brand Combat Master sheath. 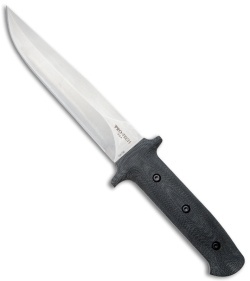 The 2301 Brend #1 has a black Micarta handle with a satin stonewash finished 154-CM blade.